Cape Cod’s jazz scene is unlike that of any other area. Come to our second social at Quicks Hole Tavern featuring Scott Shetler (clarinet, mandolin, sax, vocals), Bruce Millard (guitar, mandolin) Joe Sutton (guitar, vocals), and Woods Hole Jazz founder Tom Renshaw (bass). Enjoy a rousing evening of blues, swing, and gospel in an informal atmosphere. No cover. Tips appreciated. The talented and entertaining Fawson brings her Berklee mentor, legendary trombonist and Grammy-nominee Phil Wilson. $25, $20 in advance. Learn more. Wednesday, March 23rd – Dave Zinno Quartet Bassist Dave Zinno returns to Woods Hole with top trumpeter Jason Palmer, Tim Ray (piano), and Steve Langone (drums). Thursday, April 14th – Nadia Washington (vocals, guitar) One of NYC’s top up-and-coming vocalists, a blend of rock star Janis Joplin and jazz queen Nina Simone. Tuesday, April 26th – Frank Wilkins with Toni Lynne Washington An encore performance by Boston’s Queen of the Blues. A 2013 Grammy nominee for Best Jazz Vocal album, McGarry effortlessly blends styles with a repertoire that ranges from jazz classics to broadway to folk. 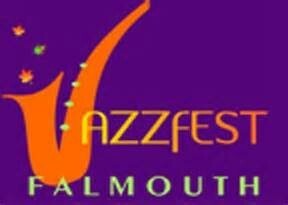 Enjoy lectures, recitals, concerts, jam sessions, a jazz brunch and a jazz stroll during the eight day celebration presented by Arts Falmouth. The jazz stroll will take place on Friday, October 2nd and promises to be a night full of great music. Downtown Falmouth will come alive on Friday night. The shops and restaurants from Queen’s Buyway and along Main Street will showcase an assortment of groups ranging from classic swing to avant-garde with a little blues thrown in. Just wander in and out; it’s all free. The 2015 line up features both local favorites and award winning ensembles. 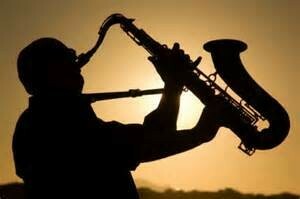 Each performance time is staggered giving you an opportunity to hear a variety of jazz styles throughout the evening. Click here for the 2015 Jazz Stroll lineup. 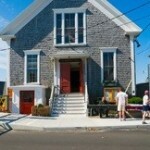 Jazz has been a long standing tradition on Cape Cod and the Woods Hole Community Hall building has been home to jazz music for over thirty-five years. Toni Lynn, known as Boston’s “queen of the blues” will be performing in September with the Frank Wilkins Quartet both of whom grew up playing in church so their music has undeniable gospel influences. With one performance per month from September – November, this fall is the perfect time to book a trip. Click here for ticket information and to read more about the musicians. Sheila Baptista, founder and producer of the Martha’s Vineyard Jazz & Blues Summerfest began the festival in 2008 with only word of mouth marketing and donated a portion of the proceeds to help support regional efforts to spread a vital message regarding breast cancer, early detection, courses of treatment and positive recovery. The festival has grown rapidly each year and has become an event that locals and vacationers alike look forward to each year. 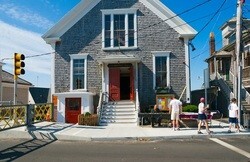 The first night is held in Oak Bluffs and the following three nights are held in Edgartown. Click here for ticket information. The twelfth annual Cape Cod Jazz Festival takes place this year at the Wequassett Resort & Golf Club in Chatham. Mary C and the Stellars, performing on September 2 have been featured on MTV, VHI, Bravo, and NBC. Performances are free an open to the public and take place at the resort’s garden terrace overlooking Pleasant Bay. Dine alfresco at the resort’s restaurant Twenty-Eight Atlantic while you listen to the smooth sounds of the summer. Jazz has been touted as one of America’s original art forms, and has been around for over a century. Enjoy the improvisational rhythms and melodies of an American classic on beautiful Cape Cod this fall.